Hario 01 V60 drip- Ethiopia Yirgacheffe Grade 1. Gravity-based brewing at it’s finest. Fundamentals for brew method selection- Part 2. The way in which the coffee extracts and/or the type of force used to extract the ground coffee will have a fairly noticeable effect on the end result. Take this effector and add water temperature, coffee grind size, and extraction time, then you can really start manipulating your brew. To understand the effect the different forces have on our brews, we first need to understand the two major mechanisms at work. Diffusion is the passive movement of molecules or particles along a concentration gradient, or from regions of higher to regions of lower concentration. Any coffee in contact with water will have the mechanism of diffusion in play. Washout-kinetics occurs with brews under more force. Imagine water being forced through some coffee grounds in a closed chamber of sorts( like an Aeropress or Espresso group head). This force washes some insolubles off the coffee particles, such as microscopic bean fibers and proteins- which add dramatic texture to the brew. Washout-kinetics will also increase the rate of diffusion. One could say that agitation/turbulence( stirring/ shaking etc.- actions that are normally performed on alternative brew methods) as well as light pressure acts in a similar way to that of ‘heavy’ washout-kinetics, as is found in espresso brewing, albeit only having a fraction of the same results. I will be using the term in this post as an expression for the much lower, varied effects found in alternative brew methods. Below are the most common forces in your brews, and descriptions of each. I have also stated different levels of Diffusion and Washout Kinetics. I believe this to be the best way of better being able to paint the picture of how the dynamic differs between brew methods, and ultimately how this affects the character of the coffee.The information in this blog is based on my own impressions over the years, with inspiration from various sources.You will find links at the bottom of this page to help further your understanding. In GRAVITY, there is a low level of washout-kinetics and moderate level of diffusion. Gravity is found in brew methods like Chemex and Hario V60. Gravity allows for a much more elegant cup profile and inevitably a heightened perception of acids. With gravity-based brew methods, it is important to keep brewing temps within the 93–96 degree C range( as much as possible), as this will keep the rate of diffusion high enough to extract enough solubles from the coffee particles and also to allow a higher and broader acidity profile to be reached. In pourovers, this is incredibly important, since acidity allows the cup to be more interesting and complex(unless you’re not bothered by tweaking acidity and are instead aiming for raised sweetness levels). 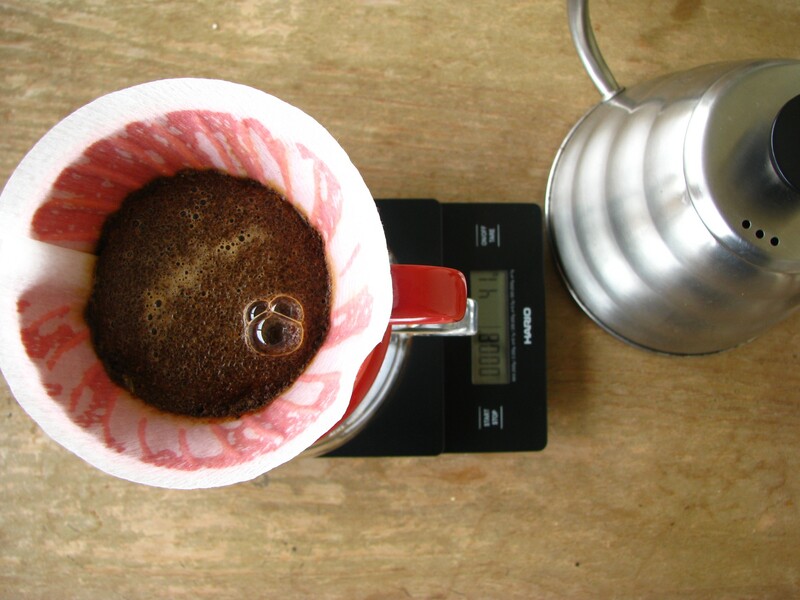 PRESSURE is found in brew methods like Aeropress and Mokapots. There is a moderate to high level of washout-kinetics and varied level of diffusion, but most of the time,low to moderate. Lightly pressured brews will have more texture and/or richness. Microscopic bean-fiber will be washed off and more solubles will diffuse into the water as the rate of diffusion rises. Once again- one needs to remember that any level of pressure will in some way increase the rate of diffusion- and therefore, one should reconsider the total extraction time.The type of filter used in any pressure-based brew method will govern the level of texture. IMMERSION combines maximum diffusion with varied levels of washout-kinetics, dependent on brew apparatus. Coffee brews utilizing full immersion almost always taste more complex and/or simply richer and more ‘complete’. Siphons and inverted Aeropress brews are good examples of this, as well as plungers( granted the right coffee is chosen). Although it has to be noted that Plunger brewed coffee is not as rich, probably due to a combination of generally course grind size and a low level of washout-kinetics. Plunger brewed coffee also has the least clarity(microscopic bean-fiber overshadows the cup profile), and for this reason will always be unable to portray complexity appropriately. The VACUUM in a Siphon seems to have a noticeable effect, producing a low to moderate level of washout-kinetics. I believe this level to allow the Siphon it’s complexity and somewhat refined character, as compared to washout kinetics derived from pressure. Siphons also use immersion and therefore will have maximum diffusion. Complexity in a Siphon also arises due to a stable and fairly high water temperature- which brings out a broader range of acids, as well as being fully immersed. Next time, when you purchase a bag of beans from a Roastery , and are fortunate enough to get a cup-profile on the packaging or from the roaster himself/ herself , consider the effect the brewing dynamic will have, and think about how you can start playing around with the character of the coffee. Specialty Coffee Roaster. Leather Craftsman. Aspiring Mycologist. Nutrition Enthusiast- Paleo/ AIP/ Keto. Cape Town, South Africa.